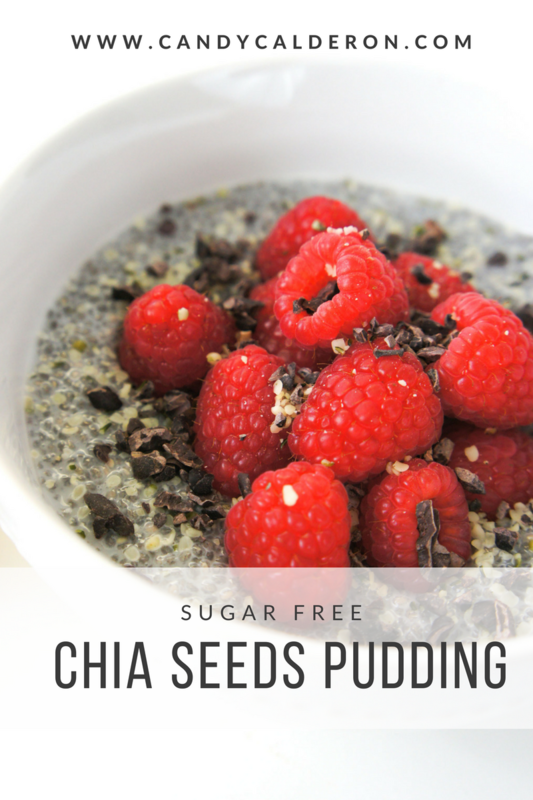 Chia seeds are one of my fav superfoods! In case you were not familiar with them, Chia is an edible seed, dating back from the Mayan and Aztec cultures. Its name means “strength” in the Mayan language. Warriors would take a pouch of seeds and a gourd of water on their trips; the seeds were their food source and taken with water they would hydrate their bodies for endurance. Possible health benefits: Chia seeds have twice the protein of any other seed or grain and five times the calcium of milk, they also have omega 3 and omega 6 which are essential oils for the body. Also, just one ounce of chia seeds provides 10 grams of fiber, which is important for lowering blood pressure and cholesterol levels. How you can use it: Sprinkle on salads, smoothies, chia seeds pudding (check recipe below! )), sprinkle in your water/juices for agua fresca, and even on your favorite cocktails for a healthy twist (like this one). As usual, remember to tag me in your pictures and use the hashtag #CandyGlowSquad so I can see my recipes come to life in your kitchen! Next Next post: Staying Fresh After A Workout – 3 Things I Always Do!